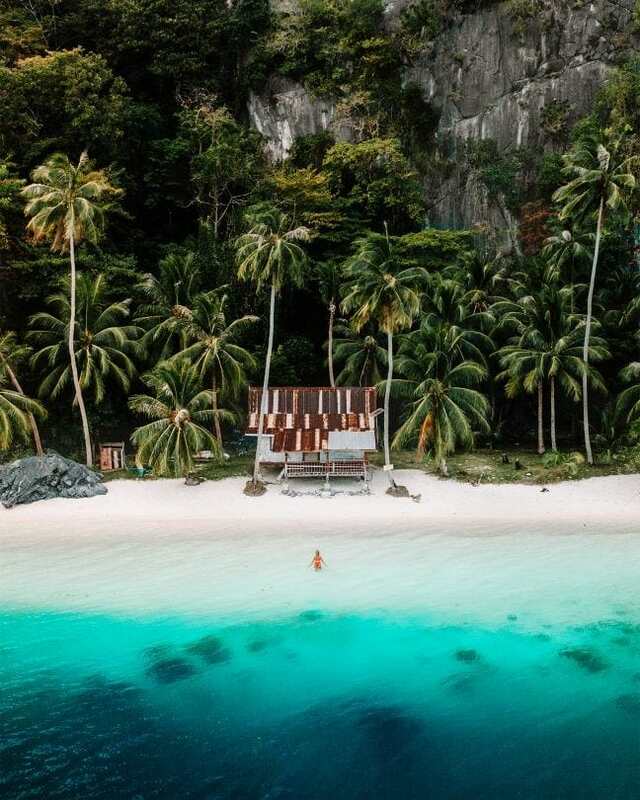 El Nido in Palawan houses the most beautiful locations in the world. 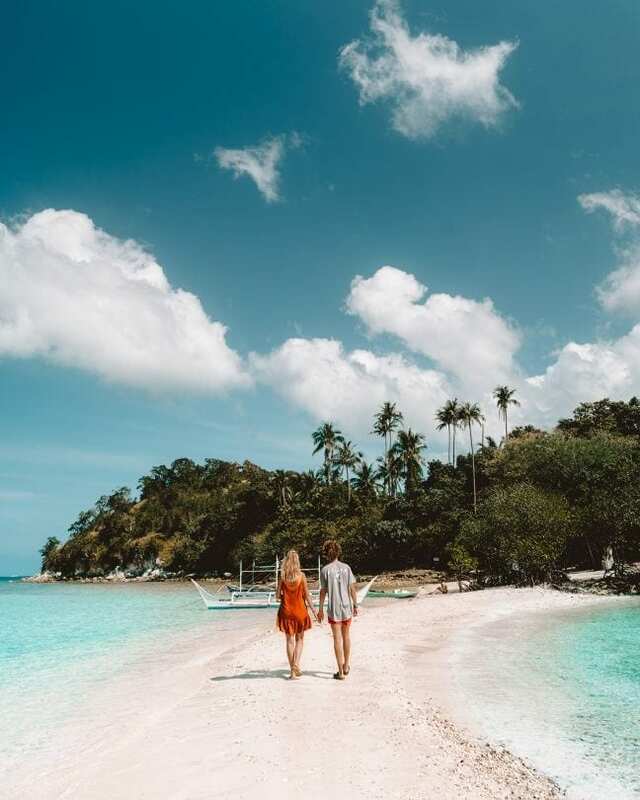 Hidden lagoons, limestone formations, sandbanks, stunning islands with white beaches and blue water are just the tip of what the 7,641 islands in the Philippines have in store for you. 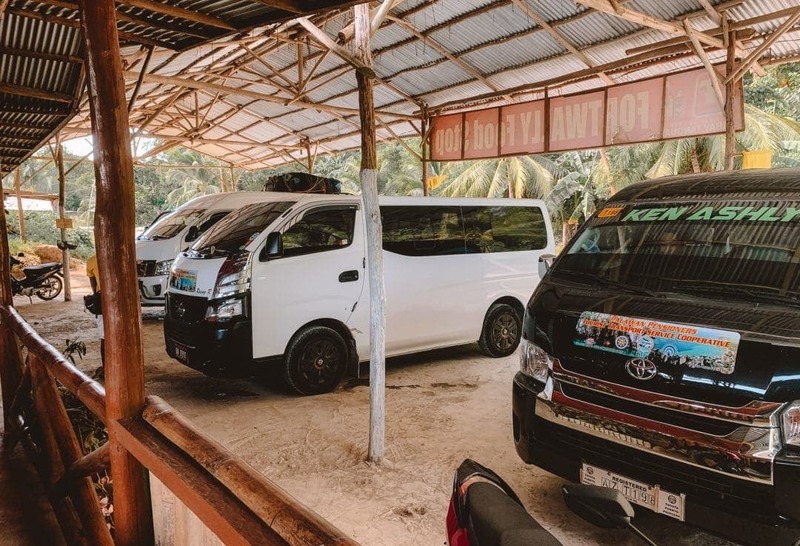 The island hopping tours are the most popular reason to visit this little town but there is more! 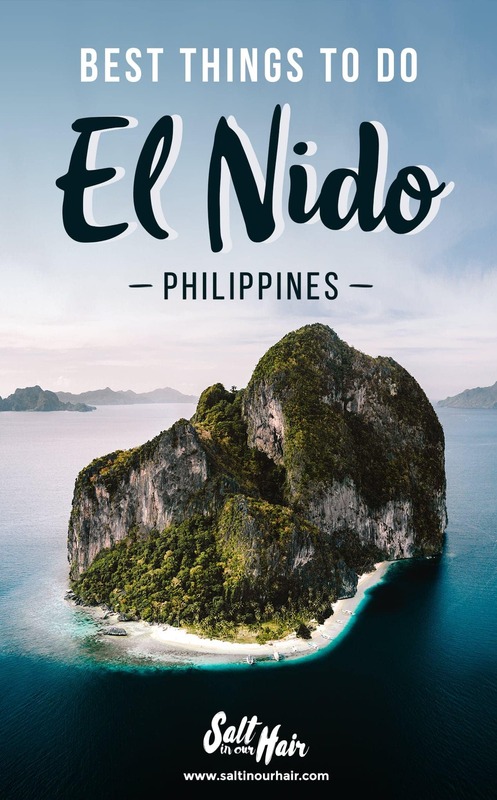 Find out about the things to do in El Nido in our El Nido Travel Guide. 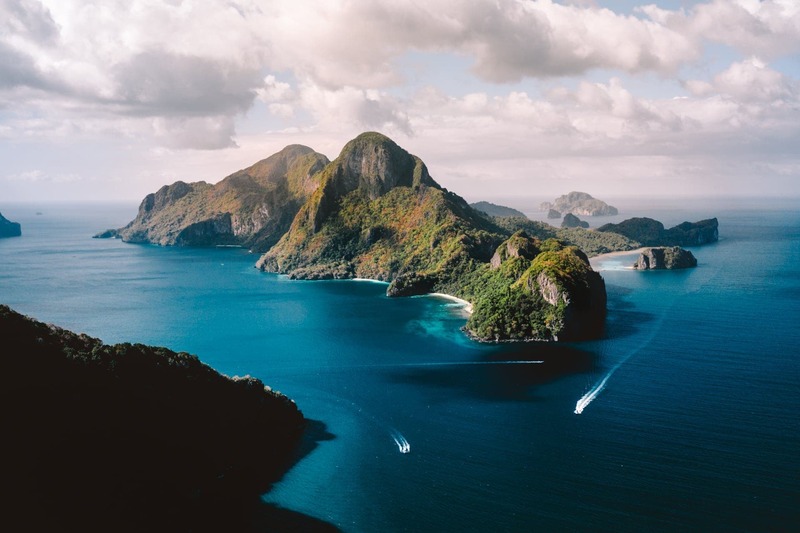 El Nido is located at the most northern tip of Palawan Island. 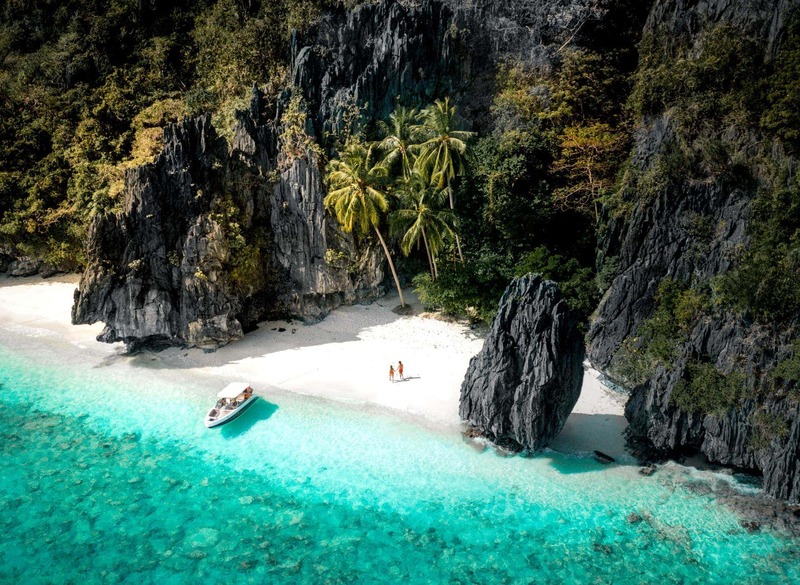 Together with Coron, El Nido has become one of the most popular locations to visit in the Philippines. Plan spending 3 to 5 days. 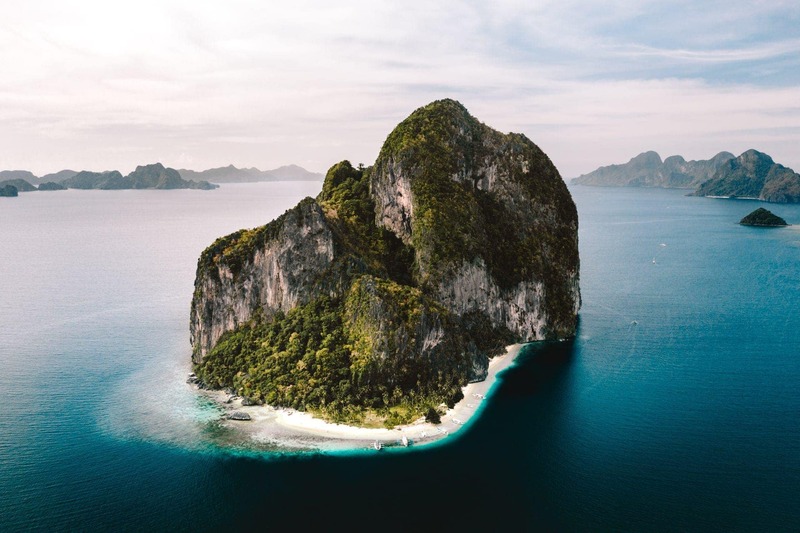 A protected area called Bacuit Bay hosting 45 paradise islands has been named one of the most beautiful destinations in the entire world. Tour A, B, C & D are all visiting different islands and all tours are stunning. Stunning lagoons, movie-like islands, beautiful wildlife, it’s all in these tours. This is a must-do in every Philippines Travel Guide. Book a tour online or avoid the crowds and do a private tour at ArtCafe. Please note: Taking plastic bottles to the islands is not allowed! 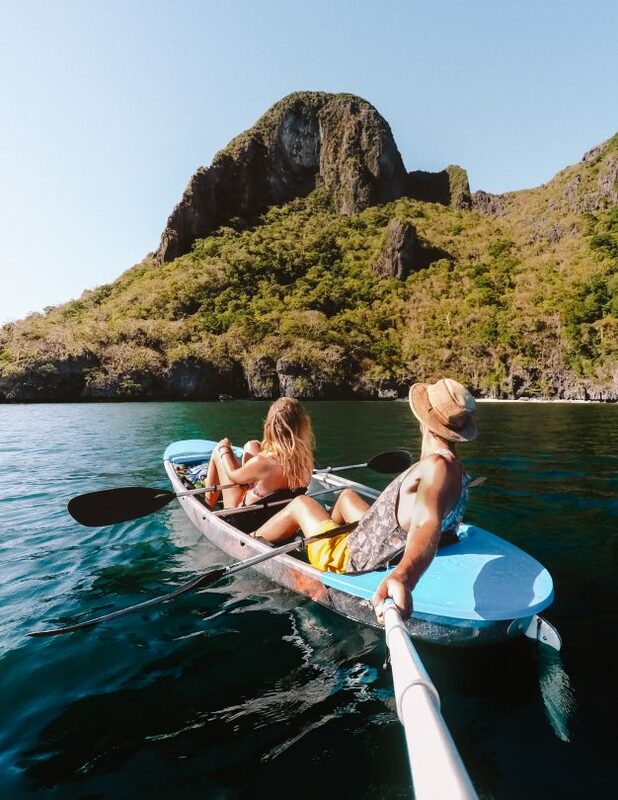 Rent a kayak and explore secret beaches around Cadlao island. The island across town has stunning wildlife like monkeys, big lizards, and hornbill birds. 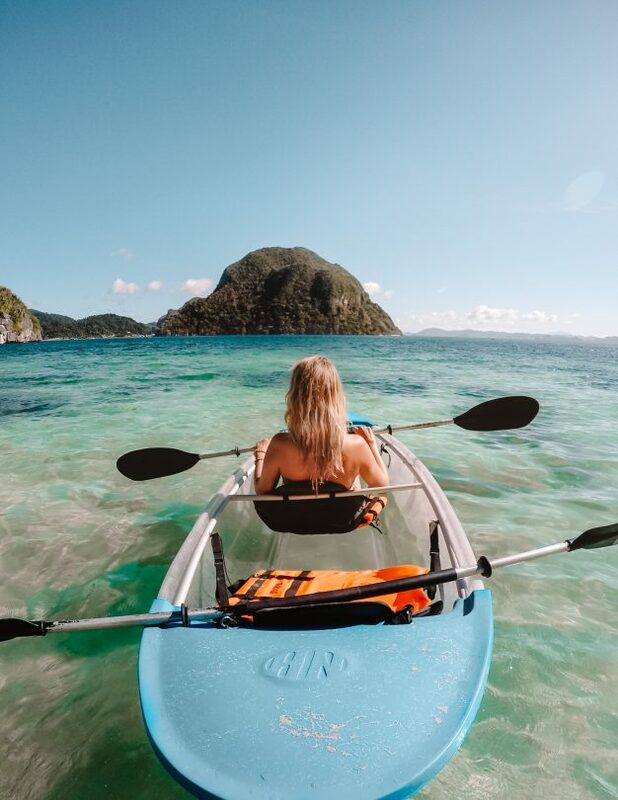 For a unique experience, rent a clear kayak in El Nido. 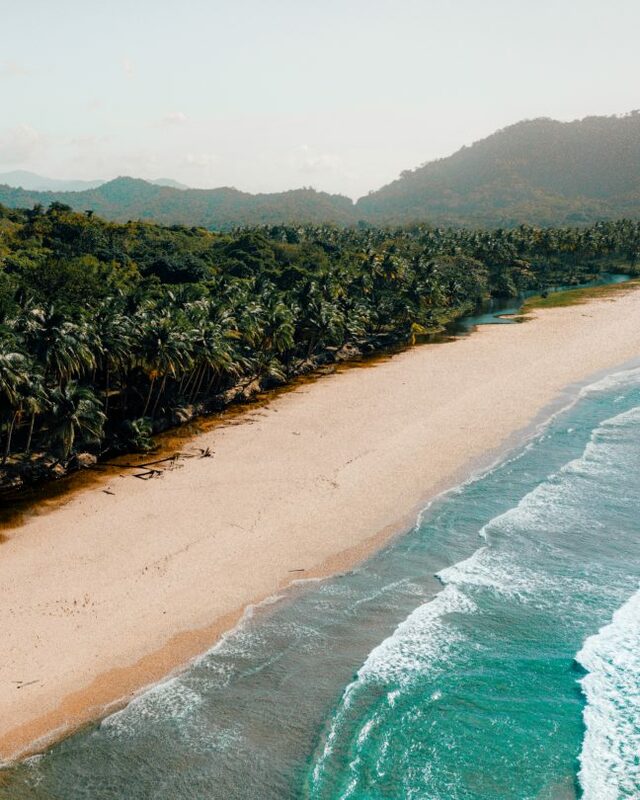 Duli Beach is an unknown 2-kilometer long white beach in the far northern tip of El Nido, Palawan. There is a 50 PHP (1 USD) entrance fee to the beach. The waves are good for beginner surfers; lessons are offered at Duli Beach. There are a few little drinks & food shack. However, we don’t recommend getting food here. Us and many others got sick from a simple rice & veggies dish. Tip: Love tropics? 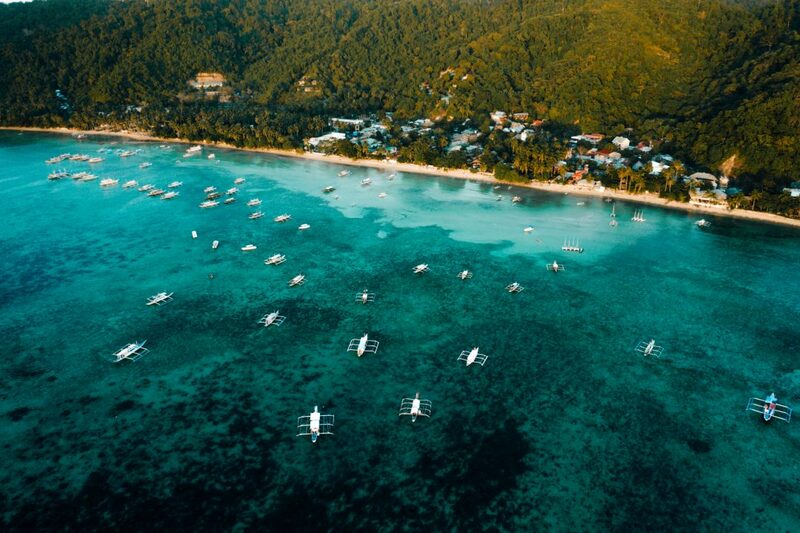 Travel to Siquijor Island. To get to Duli Beach, rent a motorbike in El Nido and drive a beautiful one hour route up north. Climb up to the highest point of El Nido. For this tough 2-hour hike it is recommended to hire a guide and wear proper shoes before you climb up these sharp rocks. Once at the top you will have an incredible view over the entire area. Nacpan can handle a lot of people, so it never feels too crowded. And if you don’t feel like joining the crowd, drive to Duli Beach instead. 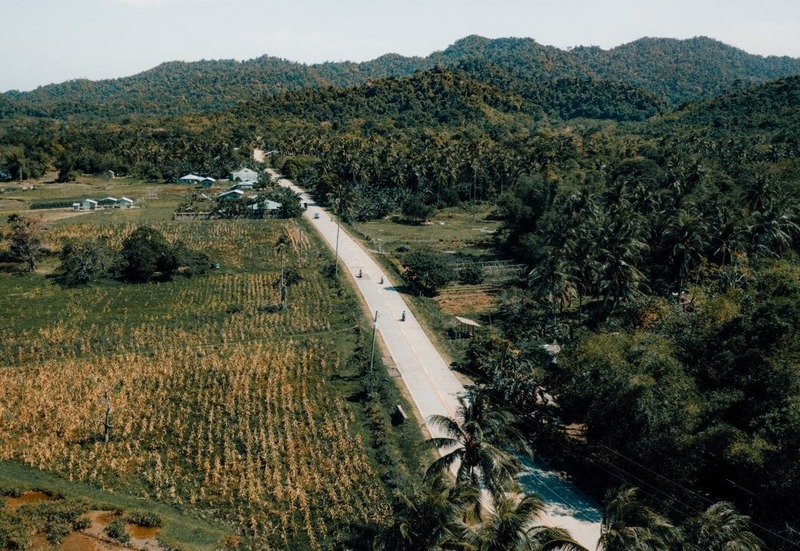 Sunsets on Nacpan are beautiful, but we don’t recommend you to drive back to El Nido in the complete darkness. 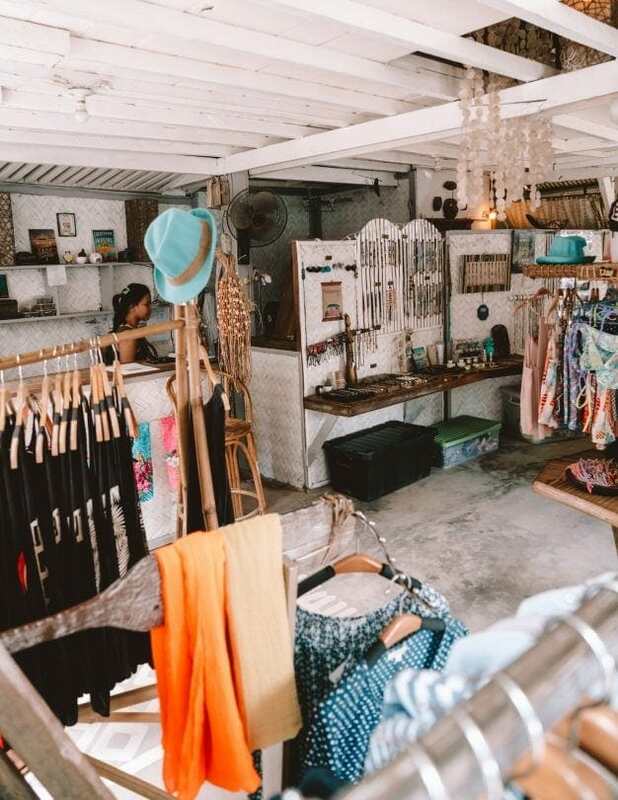 Check out this popular hostel on Nacpan Beach. 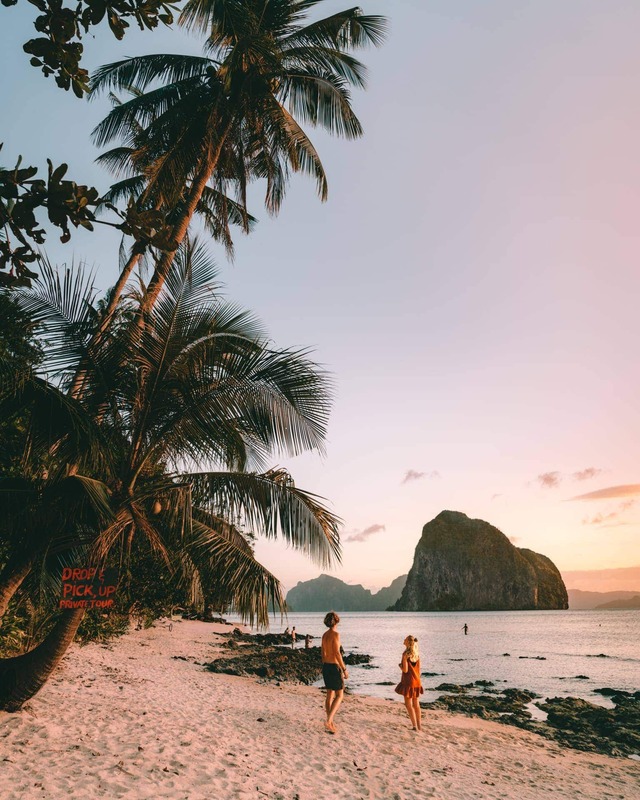 One of our personal favorite things to do in El Nido is walking on Corong-Corong Beach during sunset. It is the quietest beach around town. 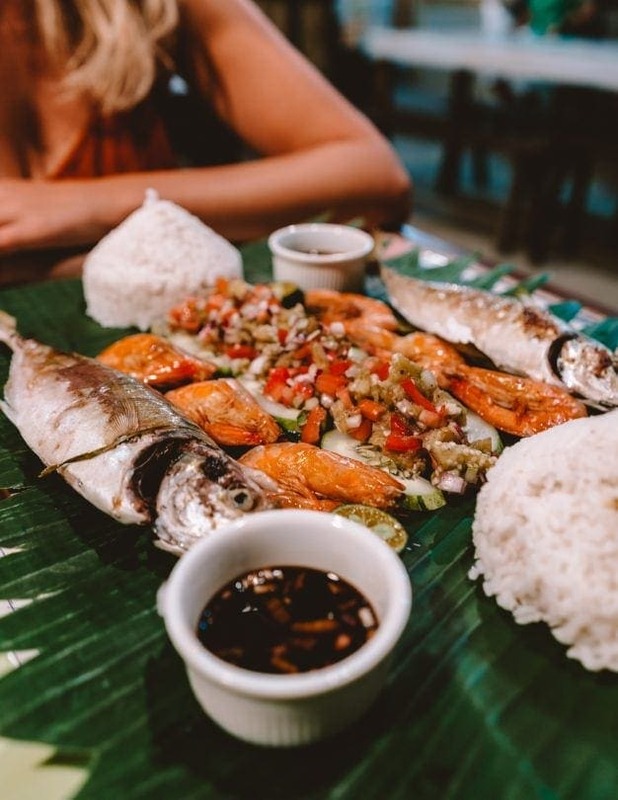 Start following the coastline from Corong-Corong bay all the way down to Boodle Fight Cafe to have a delicious Filipino dinner. 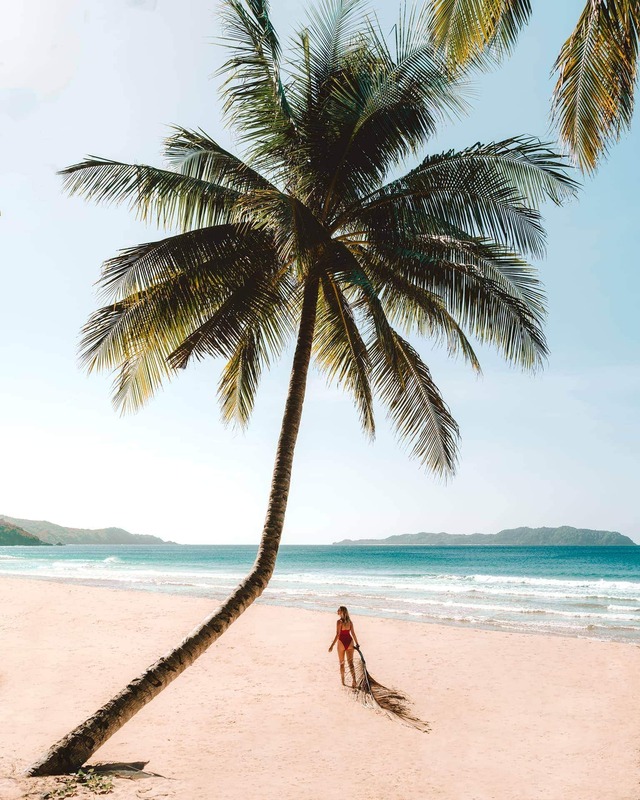 Las Cabanas Beach is one of the most popular and developed beach in El Nido. 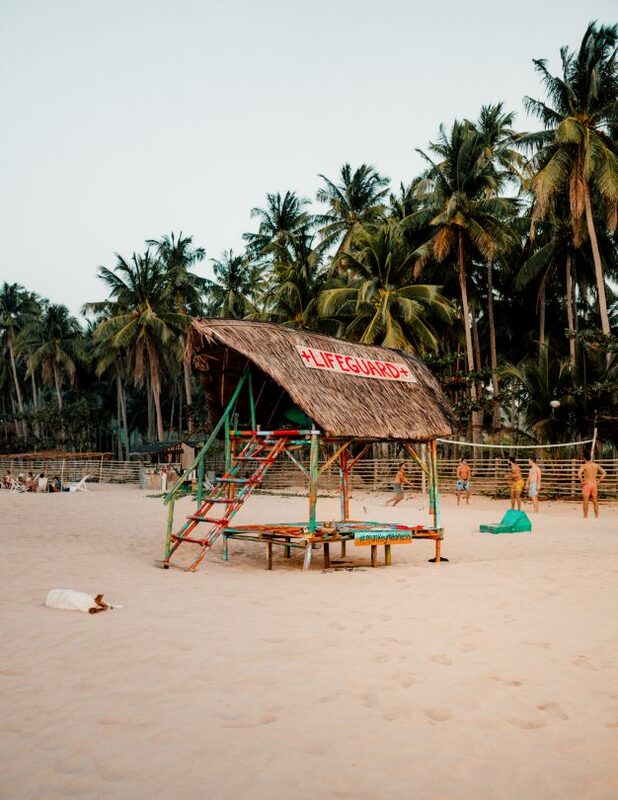 It is great for sunbathing, swimming, having drinks or food at one of the many beach bars, and the best beach to watch the sunset. The tricycle fare is 150 PHP for two persons from town. We recommend getting a motorbike for 500 PHP per day instead. 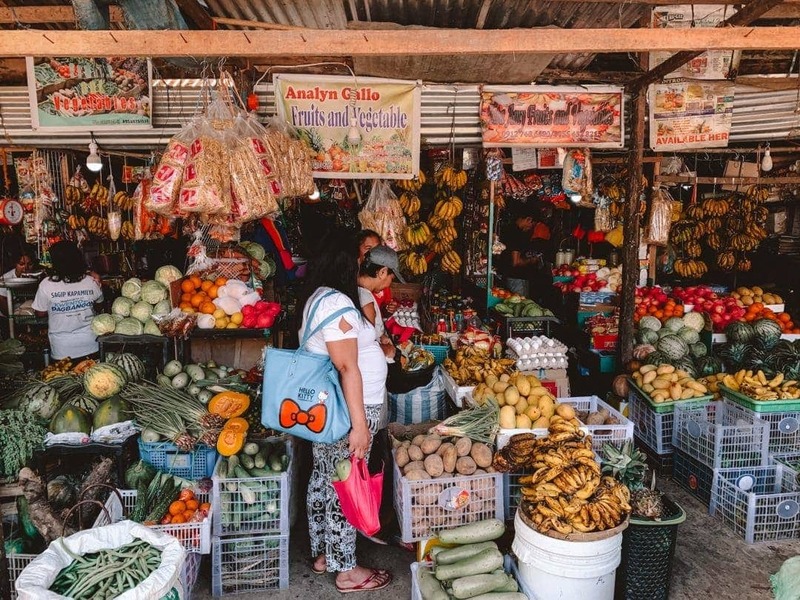 Every early 4 AM morning the local market sells fresh fruits, veggies, fish and meat. Before heading on any motorbike trip, like towards Nacpan Beach, go get some fresh uncutted fruits there as a snack. Fresh uncut fruits have no risk of holding bacteria. The market is located near Corong-Corong beach on the side of the main road. 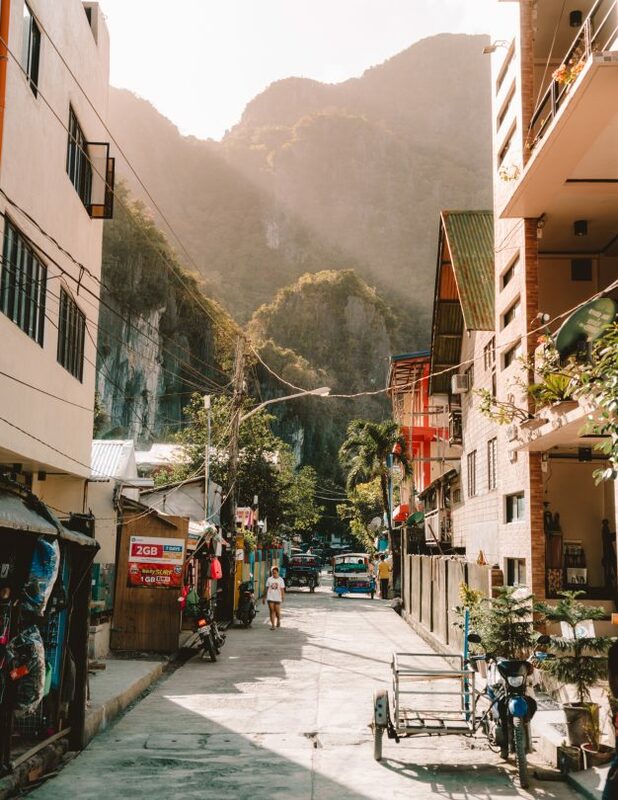 El Nido town is all about relaxing and exploring its surrounding by El Nido Island hopping tours. The town itself is not that exciting but has been developing rapidly over the last few years. 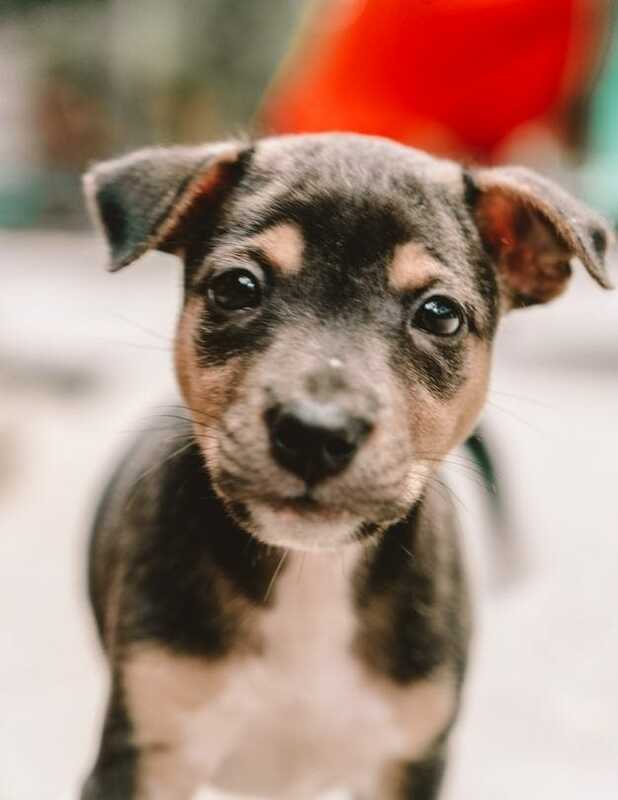 It owns a handful of good restaurants, it is safe and there is no risk of Malaria. El Nido has one large ATM, the BPI Bank in the center of town. A few smaller ones are pretty much always empty. Take enough cash. 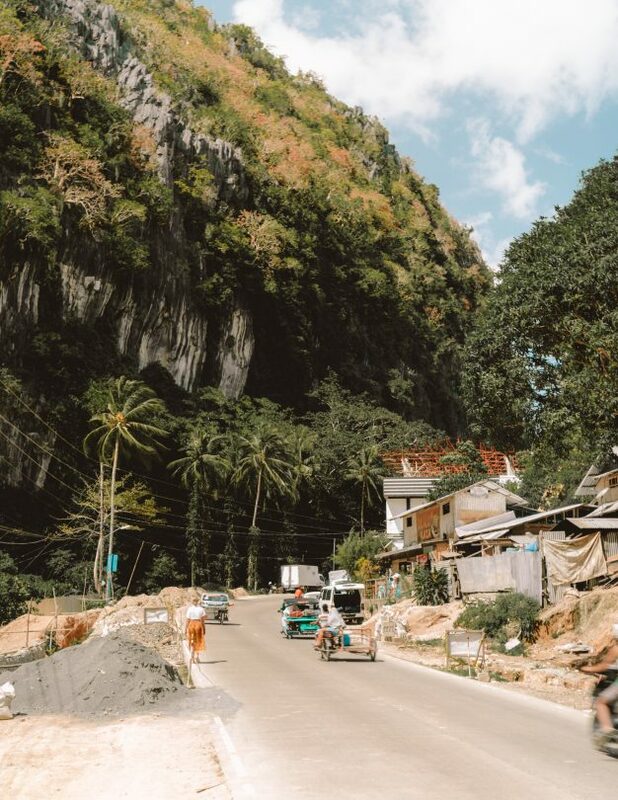 The best way to explore El Nido is by motorbike. The tricycles overcharge big time so spending 350 – 500 PHP (6-9 USD) on a motorbike is a very good deal. We rented ours at Bella’s rental and can highly recommend them. 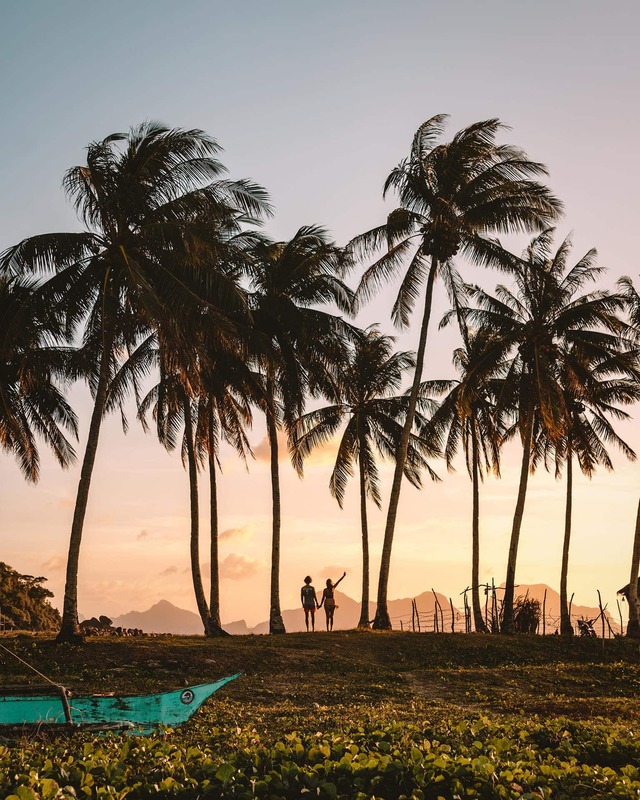 Posting Instagram Stories of your beautiful trip in El Nido is quite the task. 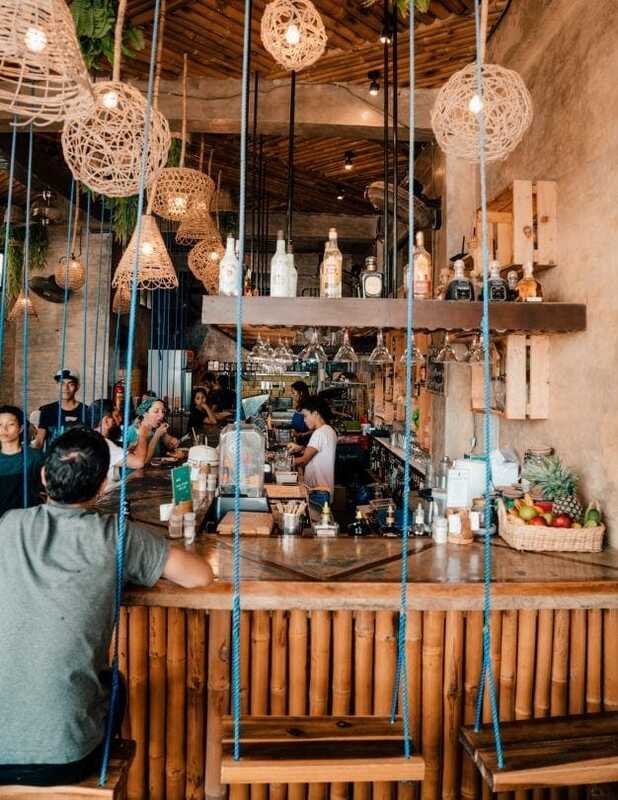 There are some cafes and hotels that offer a steady WiFi connection but be prepared and get a sim card instead. 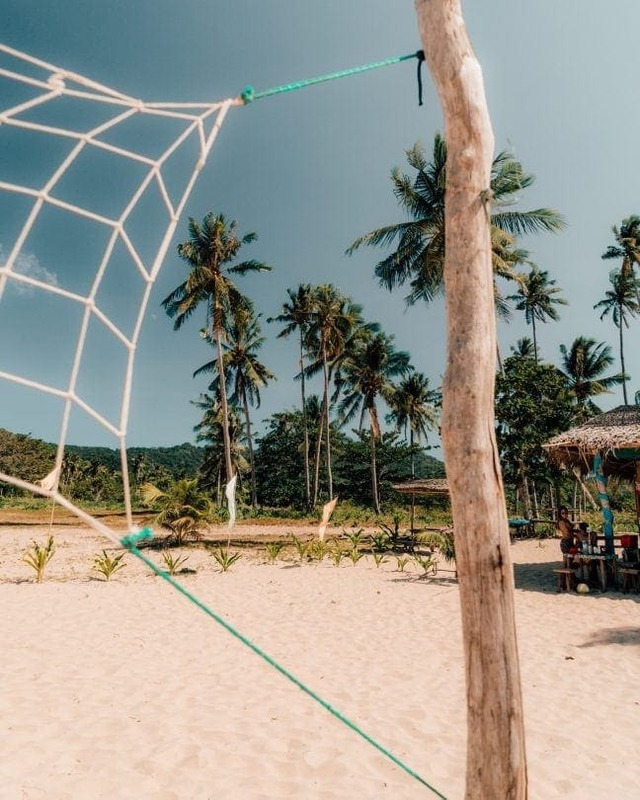 El Nido is trying its absolute best to reduce the impact on the environment. It is not allowed to smoke on the streets nor the island hopping tours and they completely banned single use plastic. Read more about it in their sustainable tourism magazine. Good to notice is the area seems to have an ongoing fresh water problem. Numerous people an upset stomach because food gets cooked in tap water, which is not clean enough. Please always check TripAdvisor reviews and avoid the risk. 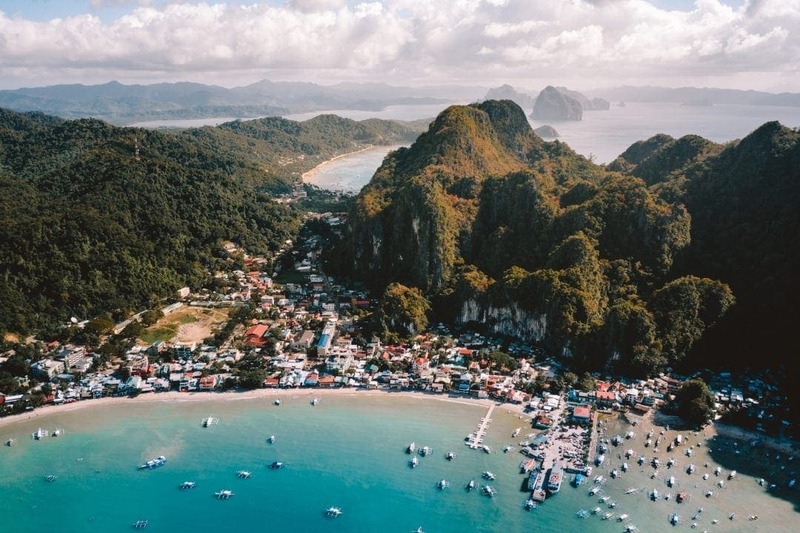 El Nido is accessible via boat, minivan or direct flight. 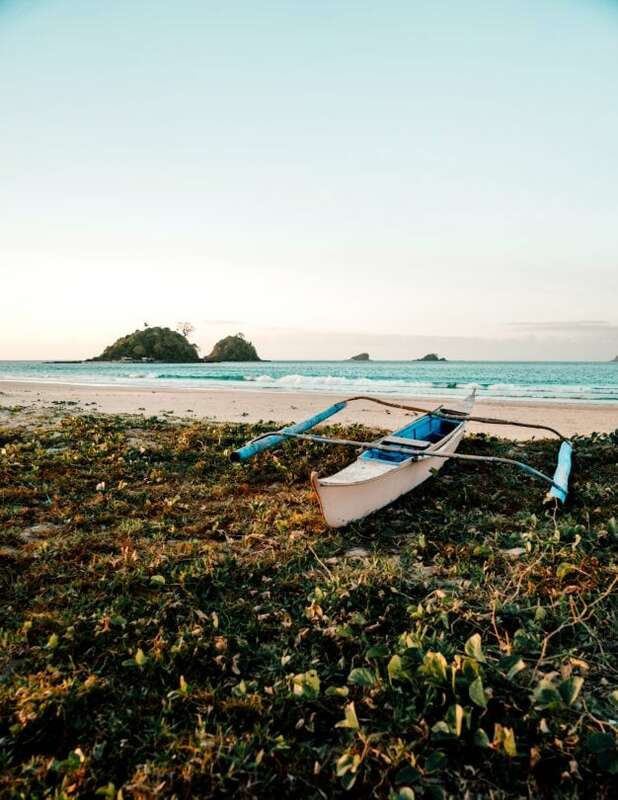 There are a lot of options that we made a separate article; All you need to know about getting in El Nido. December to March are generally the best months weatherwise to visit El Nido. April and May are very hot but as well very good months to visit. Because high season is a short period, prices will rise double during these months.